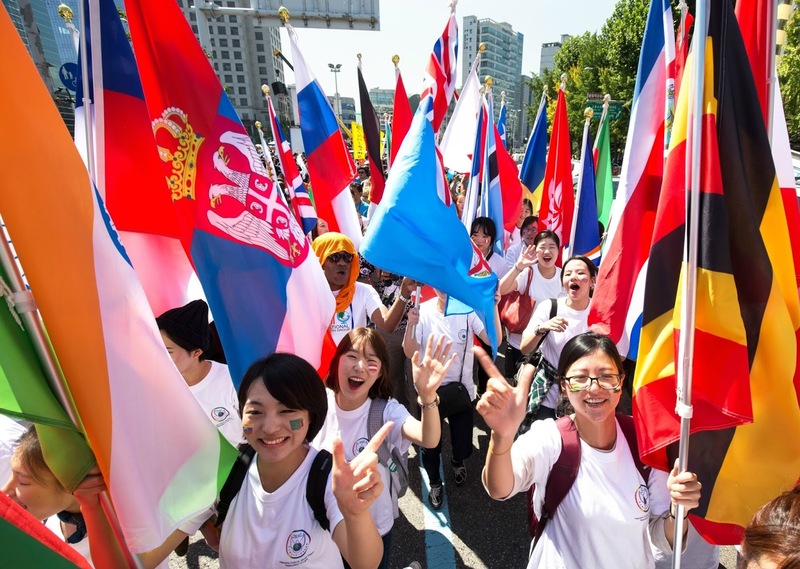 WARP Peace Summit 3rd day, On 19 September 2014, at 11 AM, Heavenly Culture, World Peace, Restoration of Light (HWPL, Chairman Man Hee Lee) hosted the Walk for the World Alliance of Religions and World Peace at the Peace Gate of the Olympic Park in commemoration of the successful hosting of the 2014 World Alliance of Religion’s Peace (WARP) Summit and the signing of the peace agreement between 12 religions the day before. 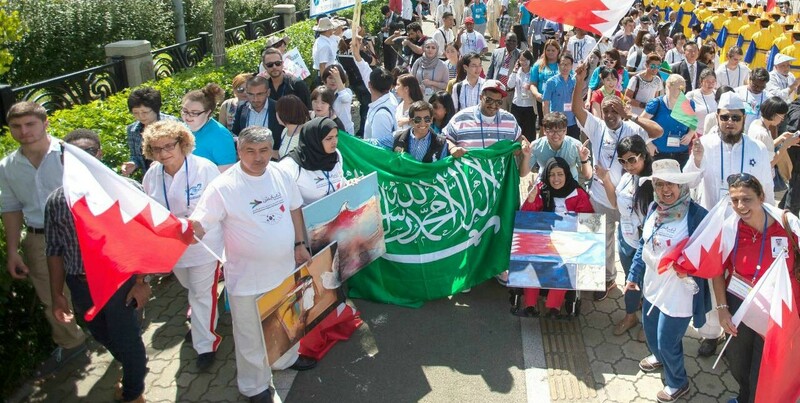 Over 100,000 people from all around the world participated in the Walk and celebrated the beginning of a new era of peace. The day before, political leaders including 15 former heads of state representing countries around the world and more than 600 religious leaders representing each religion participated in the signing of the peace agreement. Also, the International Women’s Peace Group (IWPG) and the International Youth Peace Group (IPYG), which Mr. Lee has stressed are the means to achieve world peace, agreed to the idea of the Declaration of World Peace and signed the peace agreement with a determination to join the work of peace. The Walk which was held on the following day commemorated the fact the WARP Summit did not end up as a perfunctory event, but it became the foundation for achieving a world of peace. When Mr. Lee proclaimed the beginning of the Walk with his powerful voice, approximately 200,000 people, led by the youth of IPYG, began to walk shouting “World Peace.” Throughout the Walk, the youth dressed in traditional clothes of each country gave performances, celebrating the signing of the interfaith peace agreement the day before and expressing the wish for peace. At the press conference held at the Olympic Parktel on the same day, Man Hee Lee presented the achievements of the WARP Summit to the reporters in attendance and urged them to report this news as it is. Also, there was a session where he answered the reporters’ questions on practical ways to achieve peace.